Joule Use your speed to run around in circles around him when he ult and/or use a Crucible to protect your teammate. Easy matchup due to squishiness. Stun him if your crucible is on cd to save your teammates. Petal Use her pets for your twirly fun stacks. Most of the times extremely squishy so easy to kill. Just watch out for her ult. Use your speed to run away from the ult when you see they are about to explode. Also, watch out for her late-game if she has a shiversteel and kite you. Super annoying. Krul Just run away with your passive when the stacks get high. Remember to zig-zag since he will most likely try to use his ult on you. Catherine Don't focus on her. Focus on teammates instead. Use pouncy fun to attack her teammates and use reflex block to block the stun as she tries to peel for them. Taka Not really a threat if you utilize flares correctly. Many Takas will build Aftershock/Tension Bow. Against this, try to focus him first when he tries to assassinate your squishy(Ringo, Petal, Saw, Celeste, etc). Use stun to take him down and he's dead. Adagio More annoying than deadly. WP Adagio will kite you with his heal. Save your pouncy fun to close the gap. CP Adagio's ult will hurt a lot. Use reflex block. Celeste Ult hurts like hell and stun is annoying. MOVE OUT THE WAY AS SHE PREPARES HER ULT OR PREPARE TO DIE. Squishy though. Glaive WP Glaive is deadly and will afterburn you towards his allies. Reflex block or you're dead. However, he has a lot of health so your aftershock will do a lot of damage to him. Support glaive will use his afterburn to peel you off his teammates. Use reflex block to avoid this. Koshka Although this is a battle of skills, most people in SA and PoA will use tank Koshka. Very annoying. Try to get your whole team to focus her first, or simply ignore her and focus on the squishy. Ringo Extremely annoying and deadly. Depending on the skill of the player of Ringo, he can be easy to kill or outright annoying. Good Ringos will kite you with his slow. Bad Ringos are squishy and easy to kill. Can be a 3 or a 9. 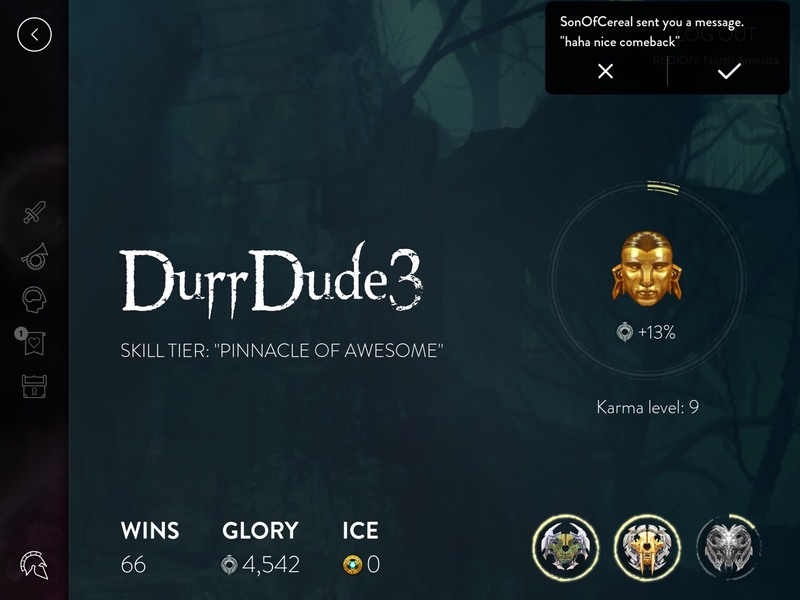 My name is DurrDude and I would like to share with you the build helped me solo queue to Pinnacle of Awesome. After the newest update, Tank Koshka has been the most viable Koshka build in the high tiers. Tank Koshka? Why should I build a tank build for an assassin? The answer is simple. Her Twirly Death does a lot of damage even though no crystal has been invested in her. Also, Aftershock does not require any crystal to be useful. Pouncy fun does an adequate amount of damage as well. Go to the middle of the jungle with your two teammates and hide in the bush next to the jungle shop on your side. Don't provoke a fight if your team contains a Taka or any weak early game character. Contrarily to this, try to provoke a fight if the enemy team has a weak early game character. Attacking puts you in a tactically bad position because you initiate, the whole enemy team can focus on you and kill you. However, if you win the triple jungle invade, you've denied the enemy team gold and xp. High risk = High reward. With the Sprint Boots, use it to chase down or run away. Remember to steal jungle minions and don't prolong the fight. Enemy respawn time is quick. Farm as much as possible to be the first to level 8. You can kill a jungle creep within 5 seconds when properly farmed at level 6. Use that to your advantage to steal opponent's jungle creeps, but don't overextend. Try not to fight the enemy Koshka(if there is one) early game if you are losing. Focus on farming and stealing enemy jungle. Use scout traps to know which minions on the enemy's sides are taken. Remember to use Sprint Boots for running away or chasing down a running enemy. Turret dive and gank if you believe you can kill the enemy laner before they retreat to their turret. Use Reflex Block to block stuns and slows to prevent the turret from killing you. This is to kick the enemy laner out of the lane so they level slower. However, remember to farm and be the first to level 8. Keep your twirly stacks up by roaming in the lane and using Twirly Death on the minions. Stay together as a team! It's the most important rule to prevent yourself from getting picked off one by one. In team fights, try to peel the enemy off your carry (	 Ringo, Adagio, Petal, SAW, Skaarf, Celeste). Also, if you have an Atlas Pauldron, try to use it on the enemy with the highest attack speed and/or WP. Remember to Reflex Block and tank for your carry. Use a Flare Gun to give your team vision. Buy Crystal Infusion and Weapon Infusion if you believe the next few fights will be critical. Use the Anti-High WP if you just cannot survive long enough to do anything useful. Get Alternative #2 if you're getting ignored. Use Atlas Pauldron on the enemy carries. Get its alternative if the WP is carrying. If both are carries and killing a lot of people, I suggest you get an aegis instead of a crucible if the crystal has an aftershock. Else, get an atlas, and 2 crucibles, and focus on the squishiest. Comments? Suggestions? Ask in the comments section!